Over 220 people were killed and 1,400 injured after an earthquake measuring from 6.1 to 6.5, according to different estimates, toppled buildings in Chinese Yunnan province. The majority of the dead were from Ludian county, which Chinese state television said was at the epicenter of the quake. At least 1,300 people also from the county have been injured and 181 remain missing, Yunnan’s information bureau reported. The province’s seismological bureau said that another 49 people died and 102 were injured in Qiaojia county. The US Geological Survey has estimated the quake at 6.1 on the Richter scale, while previously reporting the strikes measuring 6.3. At the same time, the China Earthquake Networks Center said the magnitude of the quake was 6.5. The quake struck 11 kilometers west-northwest of the town of Wenping at a relatively shallow depth of 10 kilometers, according to USGS. “I Felt A strong Jolt on my Fifth-Floor Home and Small some objects in my Home Fell off the shelves,” A resident of Ludian Told Official Xinhua News Agency. The quake toppled and cracked apart buildings, forcing people to rush into the streets. About 12,000 homes collapsed in Ludian county, where some 429,000 people live and that is located around 366 kilometers (277 miles) northeast of Yunnan’s capital, Kunming. Local media is reporting that a school was reduced to rubble, among other buildings that were destroyed by the earthquake. Chinese state media said tremors were felt in Yunnan’s neighboring provinces of Guizhou and Sichuan. 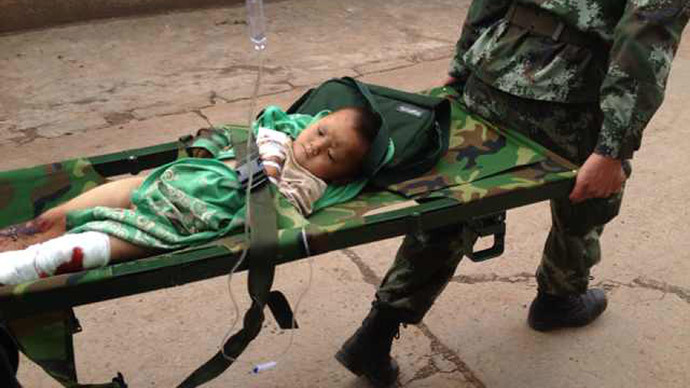 More than 2,500 troops have Been sent to Quake zone to help in the Rescue. The Civil Authorities affairs has sent 2,000 tents, 3,000 folding beds, 3,000 and 3,000 Coats Quilts to the Quake Region. The Red Cross Society of China allocated quilts, jackets and tents for those made homeless by the quake, while Red Cross branches in Hong Kong, Macau and neighboring Sichuan province also sent relief supplies, AP reported. Yunnan’s seismological bureau has said that the earthquake is the strongest to hit the province in 18 years, independent website Earth-Quake Report said. 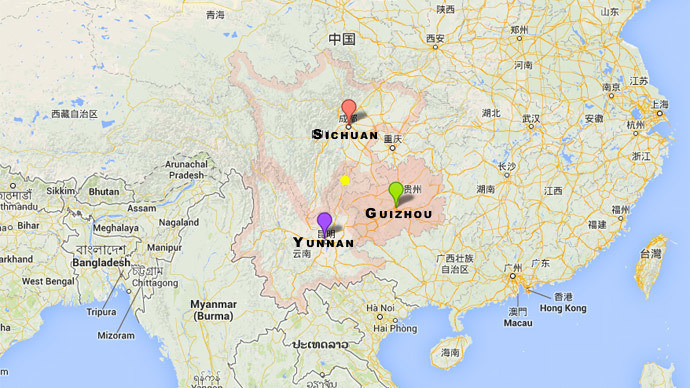 Yunnan is one of the most earthquake-sensitive provinces in China.